George Hood became famous by losing his life in the first attempt, with John ‘Scotty’ Moncrieff, to fly the Tasman Sea in January 1928. He was also a Main Body soldier in 1914. The Hoods were farmers and by 1914 George was farming on his own account, also at Upper Plain. He was a territorial sergeant in the 9th Regiment (Wellington and East Coast) Mounted Rifles. George was in the first group of mounted riflemen to leave Masterton on 13 August 1914 for training in Palmerston North. Sergeant Hood’s original service number of 11/270 was changed to 5/270a in February 1915 when he transferred to the Army Service Corps as a driver in Egypt. There is no record of service at Gallipoli so it’s likely he worked in Egyptian camps receiving reinforcements arriving from New Zealand. He sailed to France with the N.Z. Division and after being nominated for an Imperial (British Army) commission, was in August 1916 posted to England, first to Hornchurch (N.Z. Hospital) then to Codford Camp. In December George went to No.1 Cavalry Cadet Squadron for training, a preliminary to becoming an officer. On completion of this in April 1917, George was taken off the strength of the NZEF and effectively became part of the British Army. George’s life took a sharp turn when he began flight training with the Royal Flying Corps, at this time rapidly expanding into a major new force, especially on the Western Front. Shortly after qualifying as a pilot, George had a serious crash in October 1917 when his DH5 spun into the ground. Part of his right leg was amputated and that ended his active service life. After months of recovery he was granted leave to New Zealand in 1918. 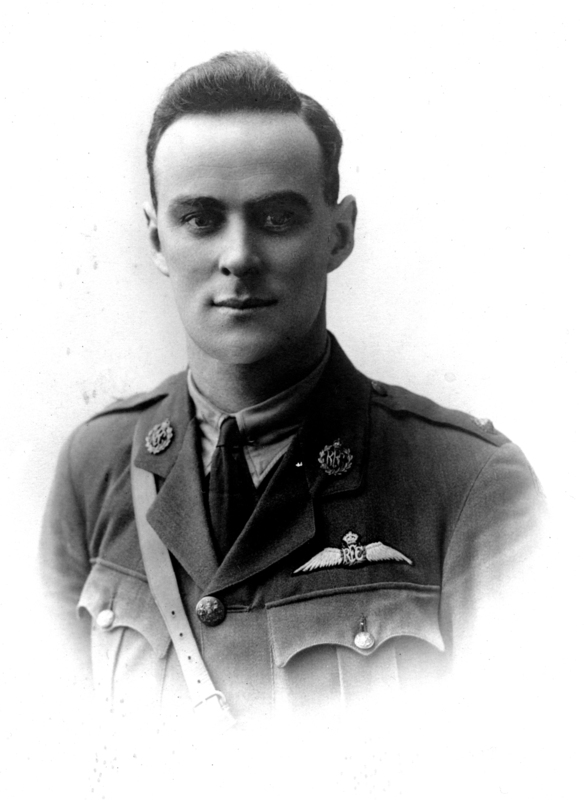 Surprisingly in December 1918, he returned to duties as an RAF pilot until invalided out in November 1919. George married in England, returning to Masterton with his wife Laura. He sold cars and tractors and worked as a taxi-driver while retaining his flying interests with refresher courses with the infant N.Z. Permanent Air Force. Meanwhile, John Moncrieff dreamed of flying the Tasman Sea and was joined by his air force friend George Hood. After their Ryan monoplane disappeared 12 hours into the flight, the resulting sea search found no trace – nor has any real evidence of the men’s fate appeared. Masterton’s new airfield was named after George Hood at the 1931 North Island Air Pageant.